This is a regular event jointly supported by The Natural Connection and Glenrosa Farm Restaurant. 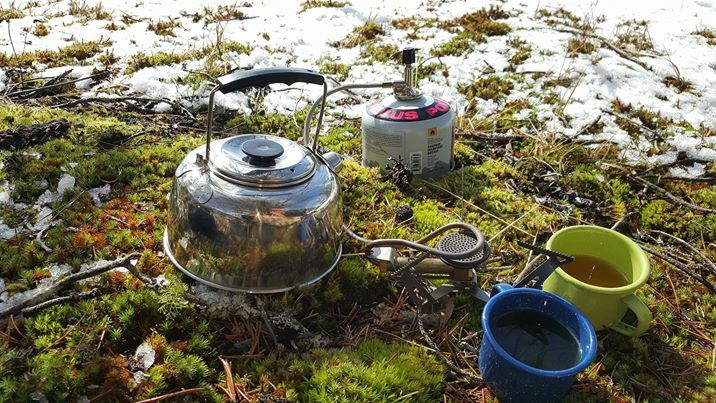 Explore the trails around Glenrosa with a knowledgeable guide, enjoy wild-brewed tea, fresh made scones & jam mid-hike. $25 per person, with a $10 Dining credit included for same day or future use at Glenrosa. Tickets available on our website or via phone. Hikers meet at Glenrosa Farm for 12pm with a 12:15 start time. The Natural Connection will provide backpacks, water bottles, scones, jam and tea for each guest. Please wear proper footwear for single track trails with loose rocks, roots, mud & water on the trail. Check the weather forecast for Metchosin beforehand and dress for the changing weather conditions. Depending on the fitness of the group the hiking loop can be modified. Click here for a video link that introduces you to the trail and the scenery. Although truly inclement weather could cancel the event, this hike will go rain or shine! In the event you've purchased a ticket but are unable to attend, you can still can pick up your $10 dining credit from Glenrosa Farm. Dining credits are transferable and do not expire. Young hikers welcome though we find the experience works best with those that can be carried or those over age 8. Contact us if you have specific questions regarding the suitability of the hike for your young ones. Advance tickets available here or by calling the restaurant at 250-478-6186.